A bipartisan group of US Senators recently reintroduced the Creating High-Quality Results and Outcomes Necessary to Improve Chronic (or CHRONIC, for short) Care Act of 2017 (first introduced in 2016), intended to improve healthcare outcomes for Medicare recipients living with chronic conditions. To facilitate these improved outcomes, the bill included various new provisions to Medicare. 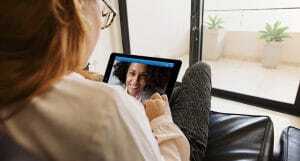 Several parts of the bill also created new programs to foster the innovation and advancement of telehealth technology, as well as expand access to it for Medicare enrollees. One of the big reasons the bill was not previously considered had to do with concerns that it would lead to increased costs, or that altering the current Medicare reimbursement policy on telemedicine might result in increased healthcare spending. All of that changed when the Congressional Budget Office (CBO) released their preliminary cost estimate report on the CHRONIC Care Act. The report gave the bill a favorable score, which lead to unanimous bipartisan support. The bill received a scheduled mark-up from the Senate Finance Committee and the legislation was put to a roll call vote. It was approved with a sweeping 26-0 vote. This means that the CHRONIC Care Act can now move on to the Senate for final vote and passage. Increase the cap on the total number of participating beneficiaries from 10,000 to 15,000. Establishes a two-year extension of the Centers for Medicare & Medicaid Services’ Independence at Home demonstration, establishing home-based primary care teams for Medicare beneficiaries with multiple chronic conditions. 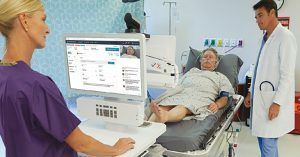 Starting in 2019, it will add home freestanding dialysis facilities, without geographic restriction, to the list of originating sites for monthly telehealth assessments. Also in 2019, it will eliminate geographic restrictions on telestroke consultation services. However, originating sites will not be separated. The hospital location and the location of physician providing a remote consult will not receive separate originating site payments. 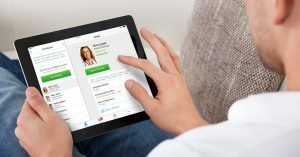 Beginning in 2020, it will expand telehealth coverage under Medicare Advantage Plan B.
Lastly, it will provide increased flexibility for Accountable Care Organizations to use telehealth services. Considering the amount of bipartisan support the bill has already demonstrated, the CHRONIC Care Act of 2017 is likely to be passed by the U.S. Senate in the very near future. Be sure to stay tuned to our blog for future updates.